Sometimes you need work footwear that offers special features and safety to protect yourself against workplace hazards but don’t need the weight of men's boots. 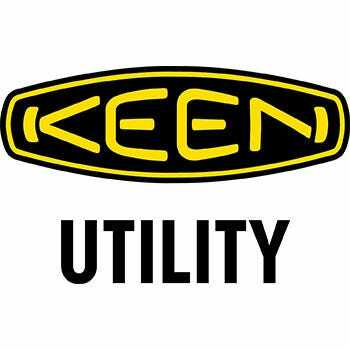 That’s a great time to take a look at KEEN Utility Men's Brown 1017824 La Conner ESD Aluminum Toe Wa ... (see full details) (see specifications) #1017824. Sometimes you need work footwear that offers special features and safety to protect yourself against workplace hazards but don’t need the weight of men's boots. That’s a great time to take a look at KEEN Utility Men's Brown 1017824 La Conner ESD Aluminum Toe Waterproof Work Shoes. It’s a solid choice when you need safety shoes instead of hefty work boots and also need a safety toe, slip resistance, and men's shoes that are electrostatic dissipative. The LA Conner design offers protection and comfort, plus a style that works well with blue jeans and slacks - and you won’t have to sacrifice the other great features you’ve come to expect from KEEN utility shoes, either. For example, the ESD shoes feature KEEN’s asymmetrical aluminum safety toe. Instead of living with a round-shaped safety toe cap that doesn’t resemble a human foot, KEEN designed the LA Conner with anatomically correct left and right safety toes that deliver comfort in a roomier toe box. Your toes will thank you, and you can feel secure knowing that you're well-protected, since the aluminum toe shoes meet ASTM F2412-11 and F2413-11 I/75 and C/75 standards. Plus, the KEEN waterproof leather shoes are electrostatic dissipative, which means they're constructed to reduce excess static electricity by redirecting the charge from the body to the ground. This is important whenever avoiding electrostatic charge is a concern. KEEN also built this men's safety toe footwear with KEEN-Grip® oil and slip resistance so you can feel secure and stable on surfaces that can be mucky and slick. The tough outsole is manufactured of a non-marking rubber that meets ASTM F1677-96 MARK II non-slip testing standards. When you slide your feet into the slip-resistant shoes, you’ll immediately notice the cushion and support. To cushion your feet, KEEN manufactures them with a compression-molded EVA midsole and a TPU shank provides midfoot support. Up close to the foot, you’ll feel more cushioning, thanks to the removable dual-density EVA footbed. And KEEN’s unique “metatomical” footbed design cradles the natural contours of the foot and provides excellent arch support. The moisture-wicking lining helps keep your feet dry, and to keep things sweet, the LA Conner features Cleansport NXT™, which uses probiotic technology for natural odor control. The professional-looking ESD work footwear features a waterproof leather upper in brown with a darker brown leather around the ankle, eyelets, and sides of the vamp. The result is brown leather footwear that will help keep you dry and will still look good when you work it hard. To help keep them looking clean, KEEN recommends using a leather cleaner and conditioner. So when you want men's work shoes instead of heavier work boots but still want advanced features for support and comfort, the KEEN Utility Men's Brown 1017824 La Conner ESD Aluminum Toe Work Shoes will help your feet make it through the workday feeling great. Order yours today from Working Person’s Store. I love these work shoes, very comfortable, fits wider, lots of breathing room. Keen did awesome when making these shoes. KEEN Utility Shoes: Men's Brown 1017824 La Conner ESD Aluminum Toe Work Shoes is being added to your cart.